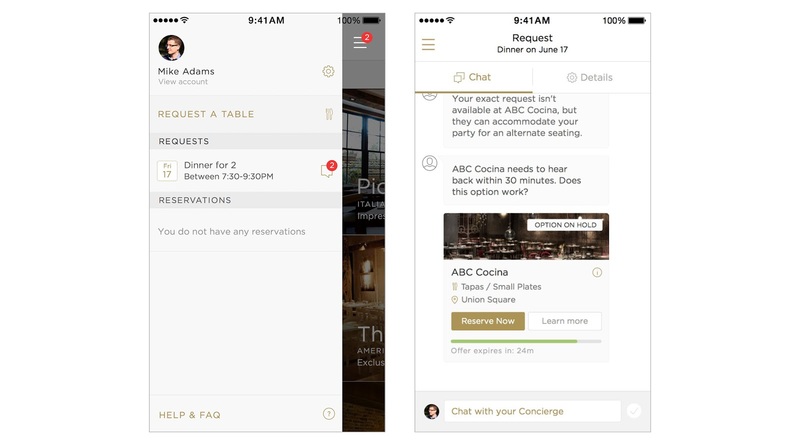 Restaurant-booking app Reserve today announced a new feature that will natively display your conversations with its concierge team on the app. Previously, when you made book requests on Reserve, you would get updates via SMS or booking confirmation notifications. Now, if you have specific requests, changes or simply want recommendations, you can chat with the concierge team and restaurant partners within the app. The tool is similar to Facebook Messenger Business, which allows users to talk to companies about their products, prices, availability, and eventually make purchases or track shipment. Reserve is hoping that with Conversation View, users will better see notifications and respond promptly, while making updates easier to track for any last-minute plans. Today’s update comes months after Reserve offered the ability to automatically split checks amongst friends.